Stephanie Thornton writes historical novels about women in tough leadership jobs. Like, for example, being Pharaoh of Egypt, or Empress of the Byzantine Empire. Her first release was The Secret History: A Novel of Empress Theodora. 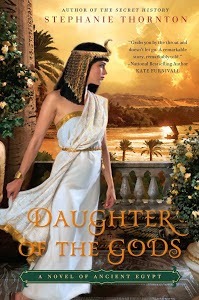 Her most recent book is Daughter of the Gods: A Novel of Ancient Egypt. It's about Hatshepsut, the first woman ruler of Egypt. As it happens we both also run blogs. So we've decided to swap jobs for a day. Stephanie's writing a post for my blog, and I'm writing a post for hers. Here is Stephanie on women rulers. Women in ancient Egypt—both queens and commoners—enjoyed more gender equality than many of their historical counterparts. They could own and manage property, divorce their husbands, and work as priestesses and even physicians. They could leave their houses to shop in the market, attend festivals to the gods, and hunt ducks in the Nile’s marshes. And lo and behold, they also ruled Egypt several times throughout the country’s history. Nitokerty. Hatshepsut. (Possibly Nefertiti as Smenkhare.) Cleopatra. Granted, these women were only tolerated because there was no royal male available to keep the throne warm, but it was only due to Egypt’s relative equality between the sexes that a female pharaoh was seen as a viable alternative. Sadly, for whatever reason, the Egyptians attempted to erase the success of these women’s reigns from the historical record. Hatshepsut’s monuments depicting her as pharaoh were destroyed. We still don’t know if Nefertiti ruled after her husband Akhenaten died. Cleopatra was reviled as a harlot. The moral of the story? Egyptian women had more freedoms and opportunities than the majority of women in the ancient world, but they still faced an uphill battle to find level footing with men when it came to wearing the Double Crown. Fortunately, some of them proved more than equal to the task and modern scholars are now dusting off their stories so we can appreciate their accomplishments. 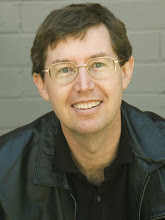 About the Author: Stephanie Thornton is a writer and history teacher who has been obsessed with infamous women from ancient history since she was twelve. She lives with her husband and daughter in Alaska, where she is at work on her next novel. Visit her website at www.stephanie-thornton.com. I thought Stacy Schiff did a pretty good job rehabilitating Cleopatra in Cleopatra: A Life, which came out in 2010. I haven't read that one, Anne, although I heard a lot about it when it released!